The association, established in 2004, serves remote households with no access to the district’s piped-water network. Coverage now reaches 72,000 households in 252 villages, and which made them a natural partner for work in sanitation as well. In February 2013, the association participated in training that promoted entrepreneurship among community-based total sanitation programs. The training—sponsored by the U.S. Agency for International Development (USAID)-funded Urban Water, Sanitation, and Hygiene (IUWASH) project, the World Bank-funded Water and Sanitation Program, and the Indonesia Sanitation Management and Empowerment Association—helped the association expand into the microfinance-for-sanitation sector. The association also facilitated the construction of 39 toilets with septic tanks for low-income households with a loan from the Bank Rakyat Indonesia. 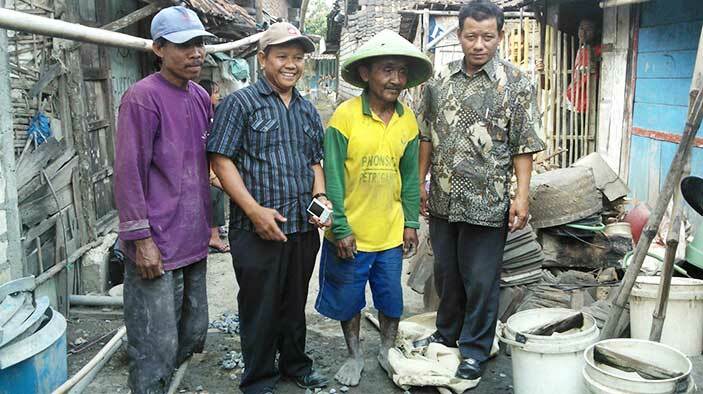 Demand on individual toilets continues to grow, so IUWASH recently helped the association access alternative financial support from Bank Syariah Mandiri. “The awards are not only a great opportunity to highlight the important work being undertaken across Indonesia to improve living conditions for millions, but an effective means of raising the profile of water supply and sanitation issues nationally and among the country’s key decision-makers,” said Louis O’Brien, IUWASH Chief of Party. The award winners were invited to the biannual National Conference on Drinking Water and Sanitation in Jakarta on October 29–31. “The winners make us optimistic that there are always solutions for water and sanitation problems. Innovations are abound. Money does not become an issue. It’s about mind-set, passion, and enthusiasm to find breakthroughs to boost water and sanitation development.” said Nugroho Tri Utomo, the Head of National Working Group on Drinking Water and Sanitation, Indonesia.